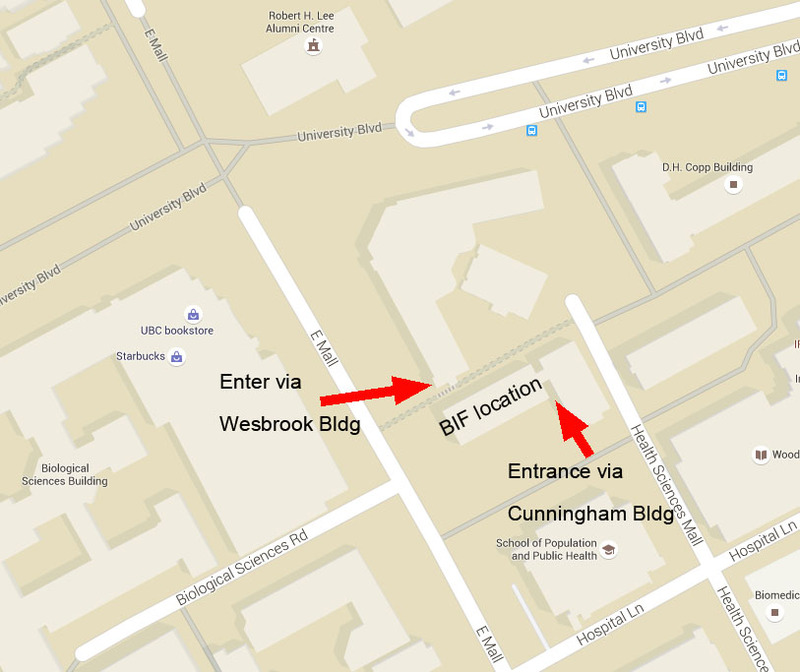 If you are new to the BIF or are a frequent user and have questions about the facility, please contact the Research Manager, Miki Fujita (bif.manager@ubc.ca). She will gladly answer any questions about the facility, services and equipment. The UBC Bioimaging Facility is a multi-user microscopy facility that is open to everyone and provides both training and service. The facility is currently located in the basement of the George Cunningham Building in UBC Vancouver campus. Please click the map below to learn how to get to the facility.